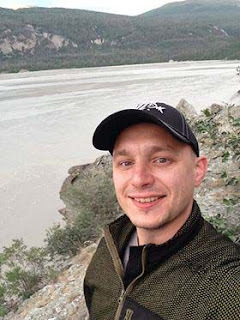 Born in the Soviet Union, and then adrift after the USSR collapsed, Artem Zhdanov never felt he belonged to any country until he came to Alaska and found his home. The latest installment of Becoming Alaskan. "Having previously been a citizen of three different countries — the U.S.S.R., Kyrgyzstan, and Russia — he recently obtained his American citizenship. He said he was moved by his naturalization ceremony, something that doesn’t happen in Russia, where he became citizen at age 16 after simply completing paperwork. “It was the very first time in my life I could say, ‘They actually welcome me here. I can belong.’”"